Learn the key elements of a successful business plan, how to develop one, and why it's important! Find out how to outline your plan, craft a mission statement, analyze the market and the industry, create a financial plan, and locate resources. Co-Sponsor(s): Reasonable accommodations for persons with disabilities will be made if requested at least two weeks in advance. WebEx information will be emailed to you 24 hours before event. 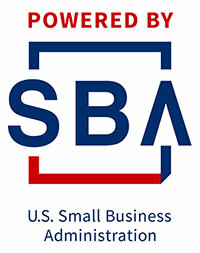 The Women's Business Centers of Charlotte and North Carolina are funded in part through a cooperative agreement with the U.S. Small Business Administration and are members of the Association of Women's Business Centers. The Women's Business Center of Charlotte is funded in part through a cooperative agreement with the City of Charlotte.